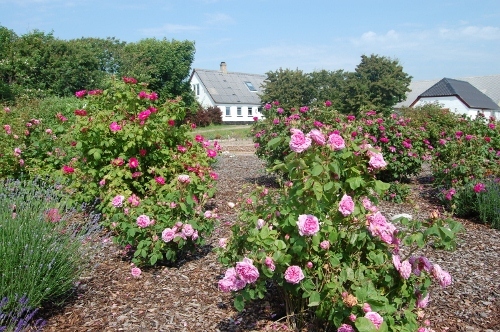 Here you can see some photos of the house, its surroundings and other places on the island. Please visit the blogs for more photos. This is Hanklit . The most famous of the clay cliffs on the island. This is from the fishing village Vorupor, 40 min drive from us. You can watch the fishing boats beeing landed on the beach. On our island ( Mors ) and our neighbour island Fur, there is also layers of clay that can hide million of years old fossiles. One of the outdoor cat enclosures. From the females outdoor yard. One of our "gentle giants" Lykkens Sumo. Our cats like to be in the kitchen, water is nice - so is making coffee! On pict. is Lykkens Albertine. Winter is sometimes like this with storms and lots of water. In january 2007 - This is at the sea bay - Søbugten 300 m from our house .